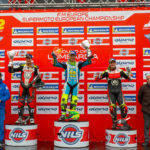 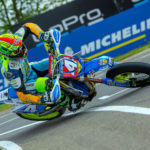 Martigny ( Switzerland) 21 March 2019 – TM Racing Factory confirms and strengthen his participation at the SuperMoto European Championship, FIM World Cup and SuperMoto of Nations. 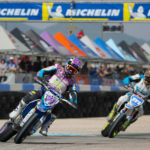 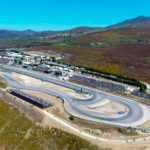 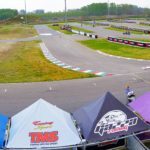 The factory from Pesaro always present is a fundamental point in the SuperMoto European and World Championship, guarantee of continuity and professioalism that together with the others teams present make these championship the maximum expression of the Supermoto in the world. 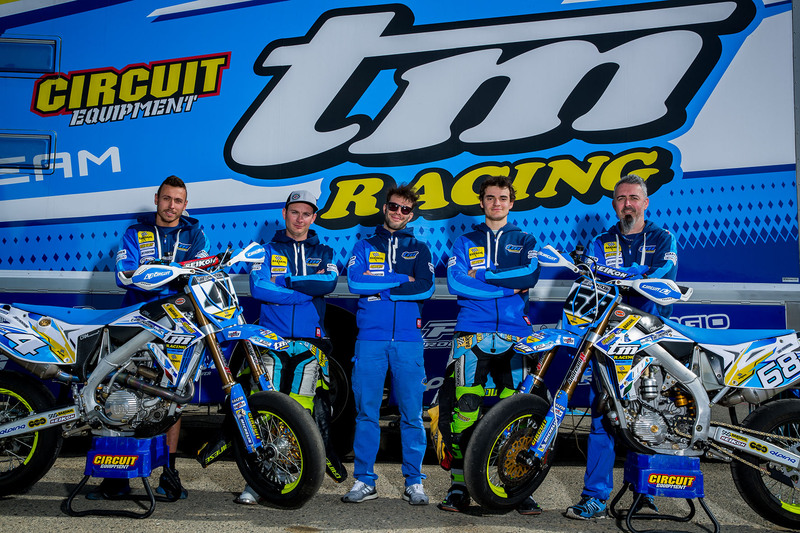 In the photo: in the centre Alex Serafini (Team manager) to the left Thomas Chareyre and to the right Diego Monticelli with the two mechanics Marco Della Chiara and Samuele Santini.